What do crows have to do with murder? 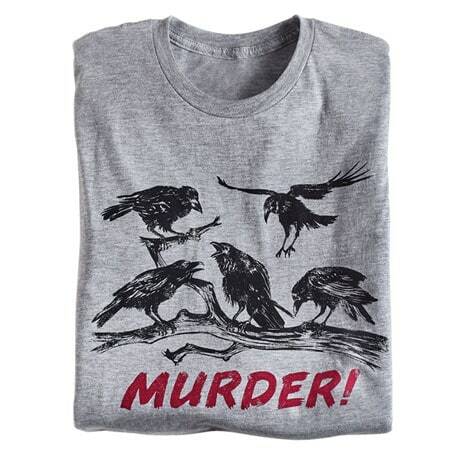 Back in the Middle Ages, someone decided a group of crows should be called a murder of crows. Which makes this a perfect shirt for English majors and fans of collective nouns. Ash gray tee is 100% cotton. Wash cold, tumble dry low. Sizes S-3X. Imported.